The property is approached through double gates to a large drive providing parking for numerous vehicles. The large detached garage complex has twin double electric doors to two garage bays, one of which comprises a shower room (accessed externally). A staircase leads to the first floor which is currently open-plan with kitchenette area, offering tremendous potential for ancillary accommodation. The extensive parkland style gardens are mainly lawned with a variety of large Rhododendrons and trees to the boundaries providing much privacy. Featuring a delightful raised south-westerly terrace adjacent to the living room which is enclosed by an attractive balustrade. There is a further paved patio on the westerly side of the property, accessed from the dining/sitting room and conservatory, overlooking Linbrook lake – ideal for alfresco dining. The heated pool has a cover and is well screened, with a detached pool house positioned beyond, surrounded by a further seating patio. Across the lane a five bar gate gives access to a level paddock, amounting to approximately two acres and enclosed by post and rail fencing. The property is located in the sought after semi rural hamlet of Linbrook, within the boundary of the picturesque New Forest National Park; offering thousands of acres of heath and woodland for a variety of outdoor pursuits, particularly bike and horse riding. There is a popular country pub and local shops and amenities nearby, with convenient access to excellent private and state schools. The ever popular market town of Ringwood is easily accessible, being just two miles away. Ringwood is positioned on the edge of the New Forest, yet is just a short drive from the coast. It is an increasingly popular destination for home hunters having undergone a re-identification; the old cattle market has been transformed into a stylish shopping quarter with names such as Aga, Hobbs, Joules, Waitrose and Waterstones. The adjacent high street has retained its character, with a traditional weekly market and a selection of independent and high street shops, cafes and restaurants. For the commuter, the cities of Salisbury and Southampton are easily reached via the A338 and the A31 and London is just an hour away via a train from Southampton Parkway. The larger shopping towns of Bournemouth (10 miles south) and Southampton (20 miles east), both of which have airports that are easily accessible. Ringwood offers the best of all worlds. This old market town is positioned on the edge of the New Forest, yet is just ten minutes drive to the coast and also has easy access to the A31, with London, Southampton and Winchester in one direction and Bournemouth in the other. It is an increasingly popular destination for home hunters. Best known as the home of Ringwood Brewery (inspiration for the current boom in microbreweries), it is undergoing a re-identification. The old cattle market has been transformed into a stylish shopping quarter with names such as Aga, Hobbs, Joules, Waitrose and Waterstones, and a programme of events that includes live music and farmers’ markets. The adjacent high street has retained its character, with a traditional weekly market and a selection of independents, a new artisan bakery, and a variety of decent eateries such as Framptons and Noisy Lobster. Families are attracted by the sense of community and highly regarded secondary school (its sixth form provision rated ‘outstanding’ by Ofsted). 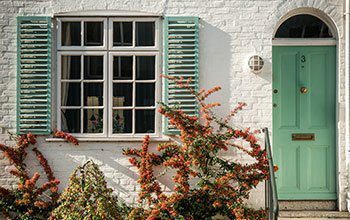 There is a wide range of property from thatched cottages, through Victorian and Edwardian villas to tree-lined closes of homes built between the wars and every decade from mid-century onwards. To the north are the quieter, untouched reaches of the Forest and larger country houses. To the west Ringwood is bounded by the River Avon and Avon Castle, a private estate of big, individual, contemporary properties in large plots, many with views across the water meadows. Avon Castle appeals to those looking for privacy and seclusion, and also attracts people moving from London in search of country life combined with contemporary living. * Mandatory requirements. Your email address will never be shared with any 3rd parties and you will receive only the type of content for which you signed up.